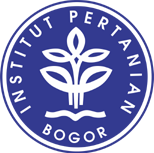 ISSA is a independent, and professional organization that opened for aquaculture stakeholder, established on October 10, 2010 in Bogor. ISSA then expected to be a bridge between educational institutions, policy makers, and practitioners of aquaculture. ISSA’s motto is “science and technology for sustainable aquaculture”. 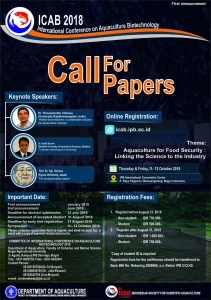 Together with the Department of Aquaculture (DoA), ISSA manages scientific publications named “Jurnal Akuakultur Indonesia (JAI)” and manages the bi-annual meeting of the International Conference of Aquaculture Biotechnology (ICAB). Visit the Website ! JAI status since 2016 has been accredited by the Ministry of Research and Higher Education as Accredited National Journal with specializing in the topic of science, technology, and the development of aquaculture. This journal has been registered in several institutions indexers such as IPI, DOAJ, and Google Scholar. Visit the website ! In the future, the development of biotechnology is very important for aquaculture in improving productivity to meet world food needs in line with the increase in its population of 0.1 billion people per year. For Indonesian aquaculture, the application of biotechnology in various subsystems are expected to improve the efficiency and productivity of aquaculture, and then increase competitiveness to face the ASEAN Economic Community (AEC) agreement in 2015. DoA and ISSA had organized five (5) times the National Symposium on Biotechnology Aquaculture (SIMBIOTEK), routinely every two years, since 2006 the symposium always bring in speakers from abroad. In line with the government program to make Indonesia as the world’s maritime axis, then in 2016, DoA and ISSA brought International Conference of Aquaculture Biotechnology (ICAB) for the first time. ICAB is a forum which is very beneficial for the development of aquaculture in order to create an independent enteprises, sustainable and environmentally friendly. Joint ICAB 2018 now!